Baritone saxophonist Pepper Adams (1930-1986) moved from rural Indiana to Rochester when he was four years old. Before he left Rochester for Detroit in mid 1947, Adams studied music in the Rochester school system and played professionally in the area's vibrant local music scene. He worked with almost all of the jazz greats of the era including John Coltrane, Miles Davis, Chet Baker, Elvin Jones, Stan Kenton, Maynard Ferguson, Benny Goodman, Thad Jones, Thelonious Monk, Dizzy Gillespie and Charles Mingus. He is credited with elevating the baritone sax to the level of other solo instruments. This talk discusses how the Rochester music scene of the 1930s and 1940s shaped Adams into one of the greatest postwar jazz saxophonists. Further, it contextualizes Adams' experience in light of Rochester's rich cultural and socio-economic history, and draws on the author's interviews with Rochester musicians active in the 1940s. Very rare music examples and video of Adams performing in Rochester as a touring professional will be shown. After the talk, Gary Carner will be available to autograph copies of his book Pepper Adams' Joy Road. Gary will also be at the BopShop 8:30 pm - 10 pm for a talk, book signing, and showcase of Adams' work performed by local musicians. Details at http://www.bopshop.com/event/book-signing-and-talk-by-gary-carner-author-of-pepper-adams-joy-road/. Gary Carner, an independent jazz researcher, is the author of Jazz Performers, The Miles Davis Companion, and Pepper Adams' Joy Road (the 2013 winner of the Association of Recorded Sound Collections' Award for Excellence in Historical Recorded Sound Research as Best Jazz Discography of the Year). From 1984 until Adams' death in 1986, Carner collaborated with Pepper Adams on his memoirs. His research on Adams' life and career, collected at pepperadams.com, spans four decades. Carner has produced all 42 of Adams' compositions for Motema Music, he's commissioned arrangements of Adams' tunes for jazz orchestra and chamber ensembles, and every Saturday he blogs about Adams at his site "The Master." Pepper Adams' Joy Road, the first book ever published about Pepper Adams, is a companion to the author's forthcoming, full-length Adams biography. Gary has taught jazz history at Assumption College, Mannes College, and at the New School. He was Jazz Historian of the Worcester (Mass.) Jazz Society. Based on his book, Dylan Goes Electric! Newport, Seeger, Dylan, and the Night that Split the Sixties, Elijah Wald explores the cultural, political and historical context of this seminal Bob Dylan event that embodies the transformative decade that was the sixties. Wald delves deep into the folk revival, the rise of rock, and the tensions between traditional and groundbreaking music. Wald provides new insights into Dylan’s artistic evolution, his special affinity to blues, his complex relationship to the folk establishment and his sometime mentor Pete Seeger, and the ways he reshaped popular music forever. A book signing and jam session with Elijah will follow the presentation. We welcome people from outside of RIT at this event. You will need to stop at the Welcome Center and obtain a Visitor Parking Pass. For more information about visitor parking, including a campus map, see details at https://www.rit.edu/fa/facilities/pats/parking/visitors.html. Elijah Wald started playing guitar at age seven, went to New York at age 17 to study with Dave Van Ronk, and spent most of the next dozen years hitchhiking and performing all over North America and Europe, as well as much of Asia and Africa, including several months studying with the Congolese guitar masters Jean-Bosco Mwenda and Edouard Masengo in eastern Zaire and lecturing for the United States Information Service in India and Central Africa. He also recorded two albums: Songster, Fingerpicker, Shirtmaker and Street Corner Cowboys. In the early 1980s, Elijah began writing for the Boston Globe, and was in charge of the newspaper’s “world music” coverage for most of the 1990s, as well as contributing articles to various other newspapers and magazines. His ten previous books include Escaping the Delta: Robert Johnson and the Invention of the Blues, How the Beatles Destroyed Rock ’n’ Roll: An Alternative History of American Popular Music, and Narcocorrido: A Journey into the Music of Drugs, Guns, and Guerrillas. He has won a Grammy Award for his album notes to The Arhoolie Records 40th Anniversary Box, for which he was also nominated as a producer, and his books have won many awards, including an ASCAP-Deems Taylor award and an honorable mention for the American Musicological Society’s Otto Kinkeldey award. Elijah has an interdisciplinary PhD in ethnomusicology and sociolinguistics. He currently teaches a course on blues history at UCLA, as well as speaking around the country on subjects he has researched over the years. Most people are familiar with the myth of bluesman Robert Johnson selling his soul to the devil at some desolate Delta crossroads in exchange for unearthly skills on the guitar. Many blues tourists are convinced, in fact, that the site of this infernal transaction is a real geographical location—one commemorated by a guitar-encrusted monument marked “The Crossroads” in contemporary Clarksdale, Mississippi. Clarksdale’s mayor has insisted on the monument’s legitimacy, and the town’s Delta Blues Museum sells t-shirts and other knicknacks that lend the myth cultural prestige. Gussow’s original research explodes this fiction. Recuperating the true history of that crossroads location in the 1930s, Gussow shows how it was transformed from a nondescript T-junction on the margins of the urban grid into the intersection of two freshly paved state highways—over the city’s objections, as it happens, and so far behind schedule that it literally didn’t exist as a crossroads during the period when Johnson took his great leap forward. Gussow also explores the turn-of-the-millennium moment when, hungry to capitalize on the Johnson legend, Clarksdale rebranded itself with the help of an unexpected alliance between a local white shop teacher and an African American state legislator. Copies of Gussow's books will also be available to purchase before and after the presentation. Please join us after the presentation for a harmonica workshop with Adam Gussow and SOIS's own Tom Hanney. 5:00 pm Ingle Auditorium. Bring your harmonica if you have one. We will be teaching using a "key of A" harmonica. Free harmonicas will be available to the first 75 attendees. Adam Gussow is an associate professor of English and Southern Studies at the University of Mississippi. 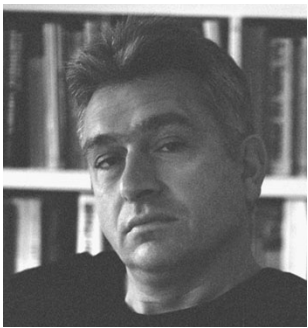 He has published three books: Mister Satan’s Apprentice: A Blues Memoir (1998); Seems Like Murder Here: Southern Violence and the Blues Tradition (2002), winner of the Holman Award from the Society for the Study of Southern Literature; and Journeyman’s Road: Modern Blues Lives From Faulkner’s Mississippi to Post-9/11 New York (2007). Gussow’s articles and reviews have appeared in American Literature, African American Review, Southern Cultures, boundary 2, and many other publications. He has recently completed a study entitled Beyond the Crossroads: The Devil and the Blues Tradition, and has just published a first novel, Busker’s Holiday. In addition to his academic credentials, Gussow is a professional blues harmonica player and teacher. As a member of the blues duo Satan and Adam for more than 25 years, he has played all the major blues, jazz, and folk festivals; recorded half a dozen CDs; and been featured on the cover of Living Blues magazine. One track from his debut solo CD, Kick and Stomp (2010), a cover of “Crossroads Blues,” has been viewed more than 700,000 times on YouTube. His most recent release is Roosters Happy Hour, featuring his current duo, The Blues Doctors. Mister Satan’s Apprentice: A Blues Memoir (Pantheon, 1998, reissued by Minnesota, 2009). eBook available through Wallace Library. Seems Like Murder Here: Southern Violence and the Blues Tradition (Chicago, 2002). eBook available through Wallace Library. Journeyman’s Road: Modern Blues Lives From Faulkner’s Mississippi to Post-9/11 New York (Tennessee, 2007). Vic Mignogna is an actor, musician, voice-acting specialist and music and video producer. He is currently the executive producer, writer and director for the internet series Star Trek Continues. He also plays Captain Kirk in the series, a dream he’s had since he was a boy. Being the music guru that he is, Vic also works with composers and musicians to produce and compose the proper music to enhance the actions and emotions of the actors on the show. Some of Mignogna’s voice acting performances include Edward Elric in the Fullmetal Alchemist series, for which he earned the American Anime Award for Best Actor in 2007, Broly in the Dragon Ball Z series, Ichiru Kiryu in Vampire Knight and Dark Mousy in D.N.Angel. His other voice-acting work includes English dubs of Japanese anime shows and videogames series including Shin Megami Tensei: Persona 3, Sonic the Hedgehog and Street Fighter II V. He is currently voicing the anime series Bleach and the Naruto spin-off, Naruto: Shippuden. A native of Greensburg, Pennsylvania, Mignogna has produced hundreds of commercial jingles, released several studio albums, and sung the national anthem at Houston Astro baseball games. Anabolism (2015-16) is a composition of electroacoustic biofeedback music by composer/performer Andrew Raffo Dewar for synthesizer-based live electronics and soprano saxophone. Developed during a residency at the EMS electronic music studios in Stockholm, the piece translates the performer’s sound and aspects of their biological functions (brainwaves and muscle movements) into control signals that affect the live electronics, such that the form of the music itself is partially generated and manipulated through biofeedback processes largely outside the performers’ control. 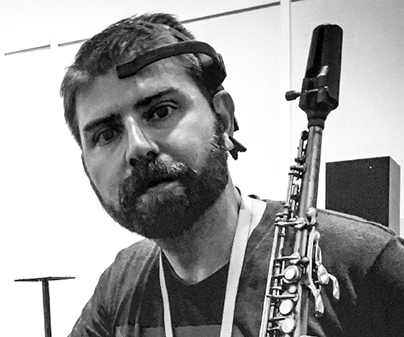 The electronics read the performer’s brainwaves, muscle movements, and the sound of the saxophone itself, converting those signals into data to manipulate a synthesizer and generate logic functions. As a result, the synthesizer is able to “make decisions” affecting the music’s outcome based on the biological and musical data it receives, in the tradition of works such as trombonist/composer George Lewis’s decades-long Voyager project. Biofeedback music has a history dating back to (at least) the mid 1960s, but new and emerging technologies have created fresh technical possibilities for the exploration of this approach to music-making, allowing for the creation of electroacoustic music with a level of complexity and performer interaction that was previously impossible. The development of Anabolism was funded in part by a Tri-Centric Foundation Research & Development grant, made possible through the generosity of the Friendship Fund and JazzRightNow.com, and the College of Arts & Sciences at the University of Alabama. Andrew Raffo Dewar is a composer, soprano saxophonist, Ethnomusicologist, educator, and arts organizer. Since 1995, he has been active in the music communities of Minneapolis, New Orleans, the San Francisco Bay Area, New York City, and Tuscaloosa, Alabama. His work has been performed throughout North America, Southeast Asia and Europe,and he has studied and performed with avant-garde jazz legends Steve Lacy, Anthony Braxton, Bill Dixon, and experimental music composer Alvin Lucier. He has also had a long involvement with Indonesian traditional and experimental music, in particular the Minangkabau music of West Sumatra. Notable performances include the Venice Biennale di Musica, the Vancouver Cultural Olympiad, The Smithsonian Museum, The National Jazz Museum in Harlem, the Torino Jazz Festival, Zentrum für Kunst und Medientechnologie in Germany, the Center for New Music in San Francisco, and, in New York City, Roulette and The Stone. Recordings of Dewar's compositions are available on the Porter Records, Striking Mechanism, dEN Records, and Rastascan Records labels. As a co-composer and/or performer, he appears on more than a dozen other recordings. As a scholar, his writing has been published in the Journal of the Society for American Music, Leonardo Music Journal, Jazz Perspectives, Jazz Research Journal, the New Grove Dictionary of American Music (2nd Edition), Musicians and Composers of the 20th Century, as well as a chapter in Negotiated Moments: Improvisation, Representation and Subjectivity, eds. Gillian Siddall & Ellen Waterman (Duke University Press, 2016). From clickbait to search algorithms to the multiple forms of capital available from new media, a study of YouTube twerking suggests that everybody but the black girl socially benefits from online play. This talk examines how technology and existing social inequalities reproduce intersectionality. Girls and twerking are not to blame but are costly just the same. Dr. Kyra Gaunt is an ethnomusicologist and social media researcher who studies technology and the unintended consequences of online communities for marginalized groups. Certified as a social media expert in federal court, her study extends from Wikipedia to YouTube. 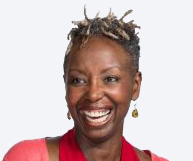 She is the author of “The Games Black Girls Play: Learning the Ropes from Double-Dutch to Hip-Hop” (NYU Press), winner of the Alan Merriam Book Prize in ethnomusicology. Currently teaching sociology and anthropology at Baruch College at the City University of New York, she received her PhD from the University of Michigan. A Place for Us: West Side Story and New York examines what this legendary musical and film reveal about mid-20th century New York. Making unprecedented use of director and choreographer Jerome Robbins’s revelatory papers, Foulkes shows the crucial role played by the political commitments of Robbins and his fellow gay, Jewish collaborators, Leonard Bernstein and Arthur Laurents. Their determination to evoke life in New York as it was actually lived helped give West Side Story its unshakable sense of place even as it put forward a vision of a new, vigorous, determinedly multicultural American city. 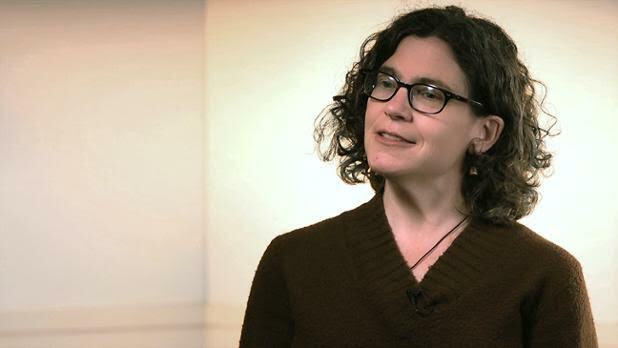 Julia Foulkes investigates interdisciplinary questions about the arts, urban studies, and history in her research and teaching. Her most recent book is A Place for Us: West Side Story and New York (2016). She is also the author of Modern Bodies: Dance and American Modernism from Martha Graham to Alvin Ailey (2002); To the City: Urban Photographs of the New Deal (2011); and the editor of two journal volumes, The Arts in Place (Journal of Social History, 2010) and, with Aaron Shkuda, essays on arts and urban development in the Journal of Urban History (2015). Currently she is researching the rise of New York as a capital of culture in the 20th century. Please join us to celebrate and discuss John Gennari’s recent book, Flavor and Soul: Italian America at its African Edge, which investigates the nature and character of contact zones in U.S. culture. Gennari, also Professor of English and Ethnic Studies at the University of Vermont, is the author of Blowin’ Hot and Cool: Jazz and Its Critics, from the University of Chicago Press, and will be joined by RIT notables, Elisabetta Sanino D’Amanda (Italian), Michael Brown (History), Tina Chapman Da Costa (Diversity and Inclusion), and Thomas Warfield (NTID) to discuss this cultural criss-cross in as it has played out in Rochester, New York. We’ll have this conversation against the backdrop of some remarkable photographs from the Paul Hoeffler Collection, generously provided by Jessica Lacher Feldman, at University of Rochester Libraries. Hoeffler was a young RIT photographer in the late 1950s when he documented the cultural life of the jazz community in Rochester in the 1950s and 60s in its multiple iterations whether at the Pythodd Club or the Eastman School.